Tired of spending your Boston weekends brunching and bar-hopping? Feeling that late-winter itch to get out of town? 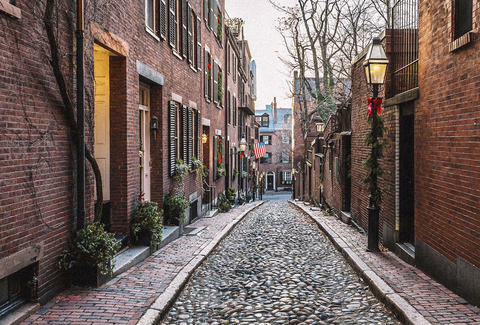 Fulfill your dual needs for enrichment and travel with a quick day trip to one of New England’s under-the-radar cultural finds. From an indie movie theater inside an old textile mill, to a museum celebrating Bigfoot, to an archive devoted entirely to beer cans(! 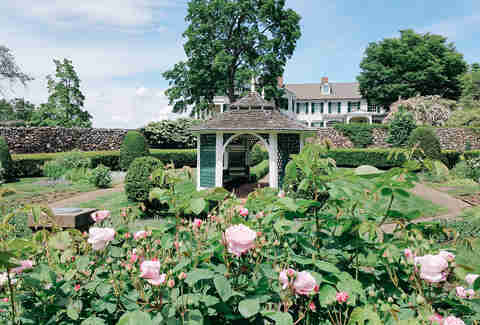 ), our region is full of quirky and enlightening gems -- all within a two-hour drive from Boston. In cold winter weather, multitasking is key, whether it’s one-stop shopping inside a megastore or getting all your cultural fixes in one place. This Portsmouth nonprofit can definitely help you on the latter front, offering a multimedia, multi-use space that’s all about boosting up-and-coming artists. Multiple, ongoing gallery exhibits are spiced up by screenings, storytelling events, and concerts. (Don’t miss the upcoming performance by Pink Talking Fish, which is -- you guessed it -- a hybrid Pink Floyd/Talking Heads/Phish tribute band.) Plus, you barely have to leave the building for a post-performance meal: The space is just a half-mile from downtown Portsmouth and all its hyped restaurants, such as James Beard semi-finalist Black Trumpet and beloved oyster bar Row 34. 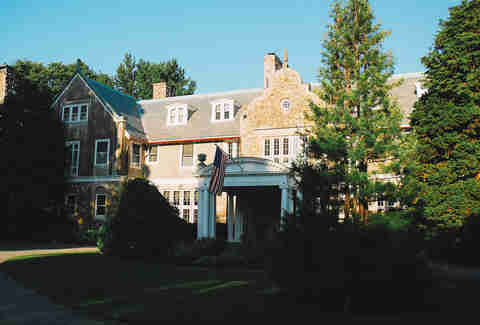 A fully-preserved New England estate is hardly a groundbreaking attraction ’round these parts, but Blithewold is a particularly impressive glimpse into yesteryear: The 45-room mansion and its 33 acres of gardens are considered one of the best remaining examples of the Country Place Era of late 19th/early 20th century America. On weekends, it’s also a cultural gathering place for both locals and tourists, when the estate puts on events including art exhibits, film screenings, and their uber-popular supper clubs, which sell out weeks in advance. Don’t suffer through a shuddersome superhero movie at a 30-screen multiplex when you can catch an ’80s cult classic at a theater inside a restored 19th-century textile mill. This indie gem shows both first-runs and throwback favorites; on Wednesdays and Sundays they even offer a mystery screening -- in that you have no idea what movie you’re going to watch until it starts. Need more? There are vintage arcade games in the lobby and beer and wine at the concession stand. The theater isn’t just for cinephiles, either -- every Thursday night the space hosts a cover-free, live jazz show. Don’t let the residential exterior fool you -- this 1901 Colonial Revival mansion actually houses some of the most important Impressionist paintings in the world, including pieces by Mary Cassatt, Edgar Degas, and Claude Monet. While there’s something that feels a little illicit about peering at artwork inside a once-private home, Hill-Stead was built by Theodate Pope Riddle, a glass-ceiling-shattering 19th-century female architect, precisely to preserve her parent’s stunning art collection. So ooh and ahh without reservation, then grab a little fresh air with a tromp through the property’s 152 acres of gardens and walking trails (accessible even in winter, but worth returning to for the full effect in summer). Just because it’s exactly as advertised doesn’t make this attraction any less thrilling. Housed inside a dive bar with the too-classic name Ye Ol’ Watering Hole, the “museum” is really a shelved display of more than 4,000 beer cans, old and new, sourced from around the world. Among the gems are the Billy Beer empties (popularized by President Jimmy Carter’s brother, Billy), and some of the heavy steel containers date back to the mid-1930s, when canned beer was first introduced. Fun/gross fact: The collection was once in terrible shape thanks to years of accumulated secondhand smoke, but after the 2004 statewide ban on smoking in bars, collectors rallied to replace some of the most degraded display items. What exactly is cryptozoology, you ask? Basically, it’s the study of Bigfoot, Nessie, and the like, those “unverified” creatures of myth and folklore. It’s a relatively obscure field of life sciences, with exactly one dedicated museum -- and it’s in downtown Portland. 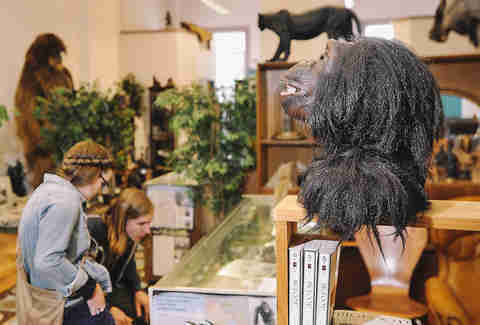 The museum owes its existence to one man, Loren Coleman, who has spent a half-century traveling the world collecting “cryptozoological samples.” Among his more than 10,000 items currently on display are “real” hair samples from the Abominable Snowman and full-sized models of relatively newfound animals like the coelacanth, an enormous fish once thought to be long extinct but rediscovered in 1938. In dire need of a temperate climate and some vitamin D? 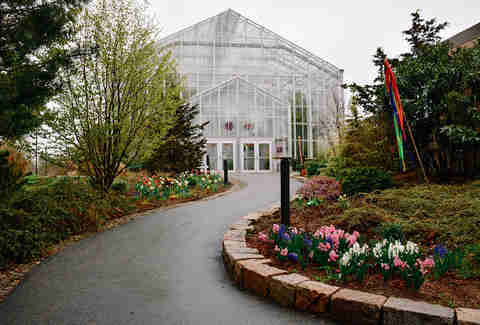 A visit to the largest indoor garden in New England (12,000 square feet) will help you get through the rest of winter. Weekend guided tours are limited to once a month, but visit on Saturdays for workshops on topics like how to resuscitate an orchid (who hasn’t killed a plant?) and Q&As with a master gardener, or just wander the greenhouses on your own to discover more than 150 different species and cultivars of plants. Beneficiary of the creativity at Yale School of Drama, the Rep is where great plays go to flourish. Its next production, premiering March 16, is the Civil War-set odyssey Father Comes Home From the Wars, Parts 1, 2 & 3 by Pulitzer Prize winner Suzan-Lori Parks. In fact, of the more than 100 world premieres staged there since 1966 -- including works by August Wilson and Terrence McNally -- two have won the Pulitzer Prize, and 10 earned Tony Awards after graduating to Broadway. And, well, we’re just going to leave this sample of acting alumni here: Paul Newman, Angela Bassett, Sigourney Weaver, Paul Giamatti, Frances McDormand, Henry “The Fonz” Winkler, and the grand dame herself, Meryl Streep.